Assisting students to write outstanding essays by suggesting tailored improvements. Currikula helps students by offering in-depth feedback on their work from the content to the structure, including finding suitable references for their bibliographies. The feedback feature requires a subscription, yet references and analytics checks are free. Students have the option of paying per essay for feedback, or paying a quarterly fee for unlimited reviews. The below content is from social media taken from external sites and is not representative of the views of businessagent.com or Currikula. Get My Grades is an e-learning platform for Maths, English, and Science, providing students with effective practice and revision tools and teachers with meaningful data. 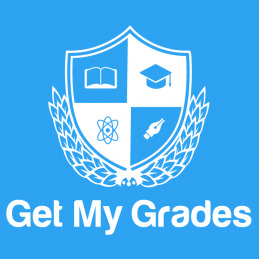 Get My Grades reduces teacher's workload, helps students to learn more, allows schools and education systems to access up-to-date data on student attainment, and provides bespoke educational solution to national curriculum anywhere in the world. Get My Grades has evoked interest in major distributors in both the UK and around the world. Within 6 months of launching, the platform signed two international contracts with a minimum revenue of £5.2m pa. With the proceeds, the e-learning platform is planning to expand its core team to address growing global demand for a consistently high-quality education, content and technical development. 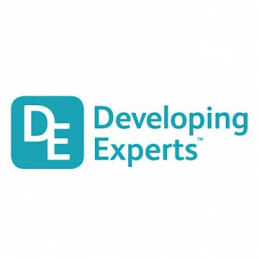 Founded in 2015, Developing Experts is a complete online curriculum solution for children aged between the age group of 4 to 14 years. Developing Experts provides over 700 online lessons with a practical investigation, easy-to-understand handouts, interactive assessments and quizzes for multiple curricula including the National Curriculum. Additionally, with an aim to enhance child’s critical thinking and learning outcomes, it provides specialised lessons held by experts from the university and industry, specifically operational in science field. To enable all of the features of the site and view this pitch on Angels Den, please fill in your information below. We are not responsible for the content of the Angels Den website and we do not accept any liability. By proceeding to this pitch you are accepting these terms. To enable all of the features of the site and view this pitch on Angels Den, please sign in below. We are not responsible for the content of the Angels Den website and we do not accept any liability. By proceeding to this pitch you are accepting these terms.